This site is Huge, find it all in the link above. I am proud to announce that Walter Strauss (wonderful musician) has purchased my Pernambuco JB-16 from me. Tim Weed connects with my WRX! 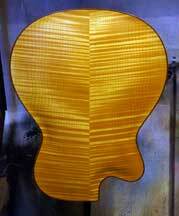 For several years I been posting nearly daily to my "Blog/Thread" in The Acoustic Guitar Forum. It is free to puruse, and you can truly know what I am currently up to. If you choose to join, you can even ask me questions with a high likelyhood of a timely response. 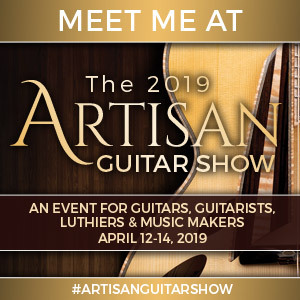 I am now the current President of the Northern California Association of Luthiers (NCAL). If you are interested in participating in our semi-monthly meetings, just send me your email address. I have given the FT-00-WRX Engelmann/Claro guitar to Billie Jo Walsh. If you want to know more, check out this very nice video. Here is an "Artistic" video made by my friend Leandro Barneche. A picture of my first commissioned guitar, still owned/played by Joe Mock! How Larry Clyman came to own an '09 Sexauer WRX Pernambuco. One of the 16 Sexauer instruments played in our performance Feb 18 at Schoenberg Guitars. I am making a decreasing number of Ukuleles. Or telephone me directly @ (707)782-1044. Please ask before reusing content.